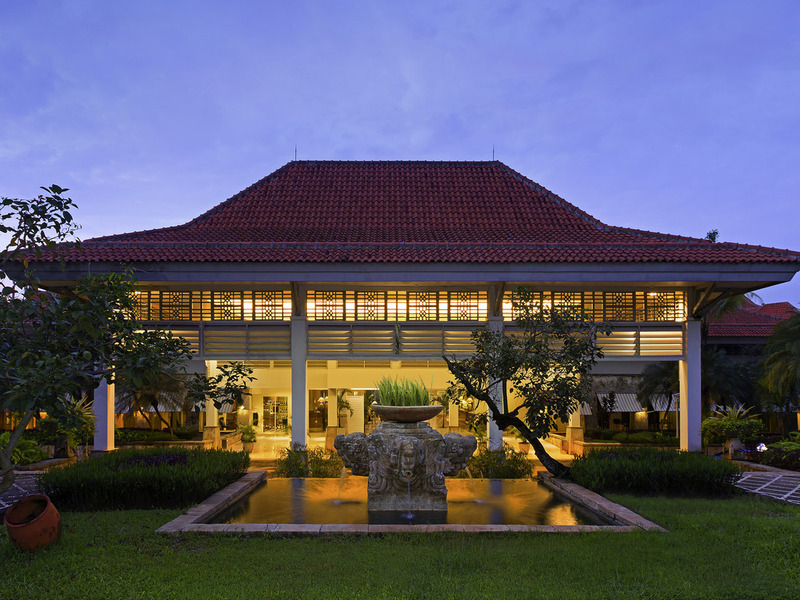 Bandara International Hotel is the only 5 star hotel in Jakarta Airport Area. The hotel offers 208 spacious rooms and suites with tropical resort ambiance. For dining experience, the hotel offer 4 restaurants and bar. Hotel also have 10 function rooms available to host your meeting event. For wellness activities, hotel has completed facilities at Club Bandara (Newly equipped Gym, Sauna, Steam, Hot and Cold Jaccuzy), Spa Bandara, 4 swimming pool include private ladies pool and jogging track. Our 208 rooms combine an international décor with contemporary Indonesian design elements. Complimentary high-speed internet, dual-line phones and generous workspaces are available in all rooms. Junior Suite with 1 kingsize bed. Bumbu Restaurant provides an unforgettable experience with wonderful views of the lake. Choose from a variety of Asian dishes including Indonesian, Chinese and Thai cuisines. Linjani restaurant offers a relaxing atmosphere facing the pool and lake. It features an extensive buffet selection of international and Indonesian cuisine as well as an a la carte menu. With gorgeous skyline and lake views from the rooftop, Sambal Tapas serves scrumptious Spanish and Indonesian small plates, plus cool cocktails. A live DJ performs from 5pm to 9pm. Maxis Lounge is an ideal rendezvous point, offering drinks and lights snacks. Perfect for those who are looking for small bites. Enjoy delectable afternoon teas and live music until 10pm.